Traditional thought assumed that drab, sterile offices or cubicles would promote greater productivity because they would offer fewer distractions. Surprisingly, it turns out the opposite is true. Most of us spend nearly one-third of our lives at work. If we must devote the majority of our worldly existence to being at the office, wouldn’t we want it to be as enjoyable and profitable as possible? Over the past decade, there has been a paradigm shift in the layout and culture of the traditional workspace. Coworking, a more recent trend, is increasingly driven by millennials and startups. Historically, businesses gathered in nondescript brick buildings and plain offices. Next came open office environments. Think nineties workplace comedy Office Space. 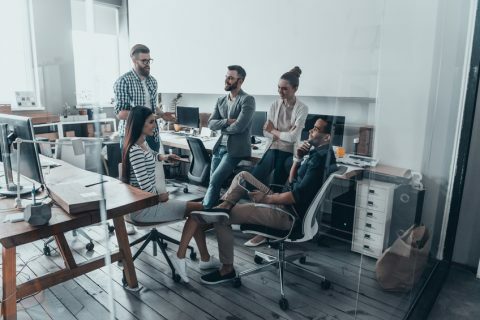 Now we are witnessing a new crop of ideal workspaces that cater to millennials (Gen Y) and Gen Z.
Millennials aren’t settling down and working on one business. What we’re seeing is a rise in the gig economy, living out of sprinter vans, and eschewing former traditional norms of a mortgage and a white picket fence. 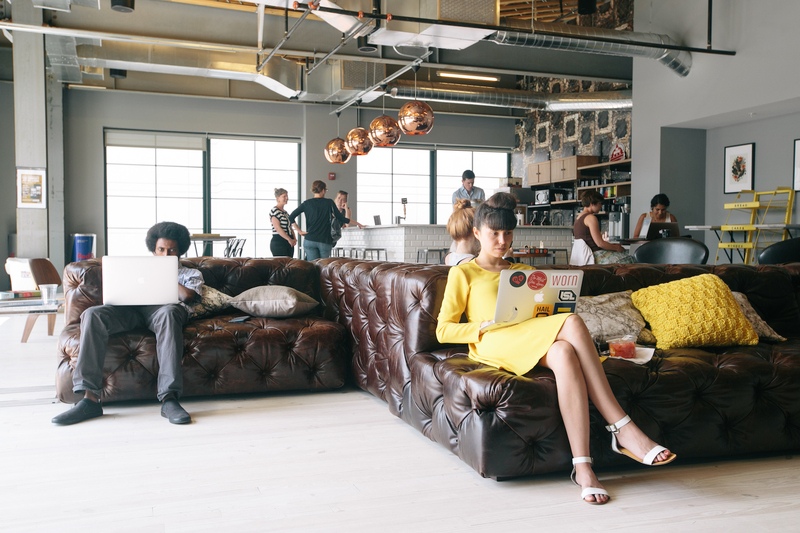 The gig economy has led to the birth of communal workspaces like WeWork. Semi-private offices surround common areas where budding businesses and entrepreneurs can rent a space and set up shop. Integrating laid back communal elements with private options leads to optimal results. 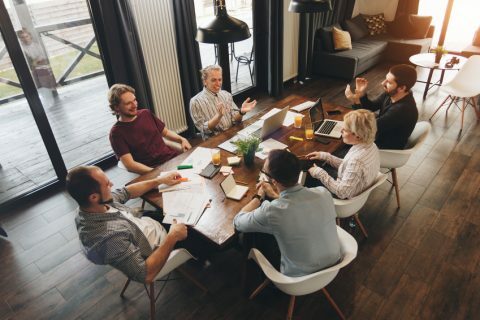 These interactive spaces foster team building, dialogue and connections between companies; and are perfect for founders and employees who dislike feeling contained and cooped up. However, the key to their success is the dynamic atmosphere. Why not create and customize your own? The more alive the workplace is, the more work gets done. 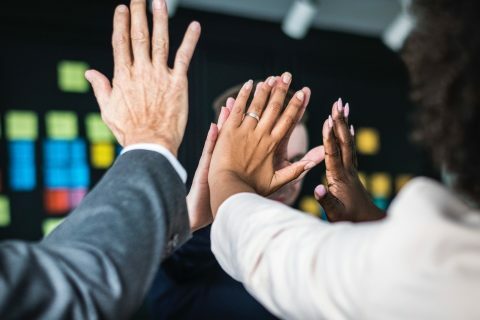 In fact, a psychological study conducted in the U.K. by Dr. Craig Knight, a psychology professor at the University of Exeter, found that green offices actually increase productivity and job satisfaction. So feel free to encourage your teammate to bring in that prickly cactus or liberate that creeping spider plant and the benefits will start to blossom. Decorating your office with some greenery is great, but offering free snacks and beverages for staff is even better. Peer reviewed science from researchers at the University of Warwick suggests this tasty strategy can boost productivity by 20 percent. Private software developer SAS Institute features free breakfast foods and bowls of M&M’s on every floor to keep employees nourished and rewarded. Eating breakfast boosts brainpower and candy provides a fun incentive. WeWork, an American startup founded in 2010, valued at 20 billion, showcases local food and drink, even live music among other free amenities in their buildings located across the globe. Pioneers of the modern workspace, WeWork blends culture with business to create a collaborative environment that we’ve never seen in the business world until now. 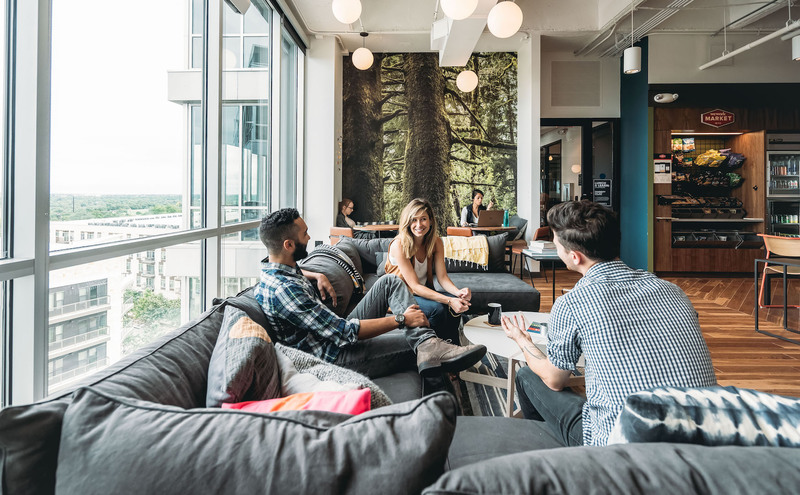 Distinct workspaces like WeWork not only help boost productivity from within, they attract clients both large and small, ranging from branches of Fortune 500’s to local startups. In today’s modern day co-working experience, an accounting firm coexists across the hall from a college dropout who commercially brews kombucha. Similarly, at Meriwether Group, we wanted to welcome established financial partners as well as regional brands and entrepreneurs. Our office boasts eclectic art, an array of healthy snacks, a weekly quote/aphorism board, and comfy couches, as well as essential business necessities like conference rooms and sophisticated software. Even our company name mirrors our office ethos. “Meriwether” honors Meriwether Lewis of Lewis and Clark, the pioneers who blazed the Oregon Trail. I saw him as the archetypal entrepreneur – equal parts adventurer and intellectual. There are a plethora of reasons why building a dynamic office environment is essential to a successful business. Most importantly, you and your employees will perform better, enjoy greater work satisfaction (expect lower turnover! ), and manifest more profit. In fact, the intersection of corporate and carefree goes beyond the physical environment and is a critical element of my business philosophy. It no longer matters whether you work in a suit or a flannel; brilliance in business originates from both sides of the divide. As founder and CEO of Meriwther Group, a powerful private equity, business accelerator and advisory firm, David Howitt has been hailed a modern day entrepreneurial hero for his innovative work with disruptive consumer brands. 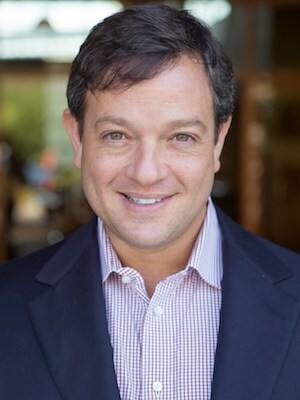 Prior to founding Meriwether Group, David served as the Corporate Counsel and then Vice President of licensing and business development for Adidas, handling a 250 million dollar licensing portfolio and supporting several key acquisions including TaylorMade and Salomon. David and his wife launched the iconic brand Oregon Chai which they successfully sold in 2004. David is also the author of Heed Your Call, a modern day manifesto that blends myth, science, spirituality and business, and applies these ideologies to real-world examples, helping readers integrate soul and purpose within their professions. Connect with @MeriwetherGroup on Twitter.